How Often Do People Use Guns In Self-Defense? Many gun owners say the primary reason they own a firearm is self-defense. But for years, experts have been starkly divided over how often people actually use guns for this purpose. A student participates in a civilian active shooter response course for concealed weapons permit holders on March 24 in Longmont, Colo. It's a common refrain touted by gun rights advocates, who argue that using guns in self-defense can help save lives. But what is the actual number of defensive gun uses? According to the Pew Research Center, 48 percent of gun owners say they own a gun mainly for protection. But for years, experts have been divided over how often people actually use guns in self-defense. The numbers range from the millions to hundreds of thousands, depending on whom you ask. "The average person ... has basically no chance in their lifetime ever to use a gun in self-defense," he tells Here & Now's Robin Young. "But ... every day, they have a chance to use the gun inappropriately. They have a chance, they get angry. They get scared." One of the main criticisms of this estimate is that researchers can't seem to find the people who are shot by civilians defending themselves because they don't show up in hospital records. "The Kleck-Gertz survey suggests that the number of DGU respondents who reported shooting their assailant was over 200,000, over twice the number of those killed or treated [for gunshots] in emergency departments," crime prevention researcher Philip Cook wrote in the book Envisioning Criminology. "If you tell the police, I just wielded a gun pointing a deadly weapon at another human being and claimed it was in self-defense, the police are going to investigate that," he tells Young, "and they may well in the short run arrest you and treat you as a criminal until and unless you are cleared." On the flipside, Kleck says, criminals who were wounded after a gun was used in self-defense also have no incentive to go to the emergency room because medical professionals have an obligation to report it to the police. But Hemenway points out that if people don't go to the hospital to treat the original gunshot wound, they will inevitably end up there "with sepsis or other major problems." He also notes that part of the reason experts are so divided on the number is the difficulty in obtaining reliable survey data on the issue. "The researchers who look at [Kleck's study] say this is just bad science," Hemenway says. "It's a well-known problem in epidemiology that if something's a rare event, and you just try to ask how many people have done this, you will get incredible overestimates." In fact, Cook told The Washington Post that the percentage of people who told Kleck they used a gun in self-defense is similar to the percentage of Americans who said they were abducted by aliens. The Post notes that "a more reasonable estimate" of self-defense gun uses equals about 100,000 annually, according to the NCVS data. Perceptions about the incident and an individual's role are important because much of the literature relies on self-reports: The respondent must have perceived there to have been a crime (or, in some surveys, a suspected or averted crime) and must consider himself or herself a victim rather than a mutual combatant. Even such stringent definitions, however, may not be sufficient to determine whether the event was lawful, legitimate, or desirable from a social perspective. 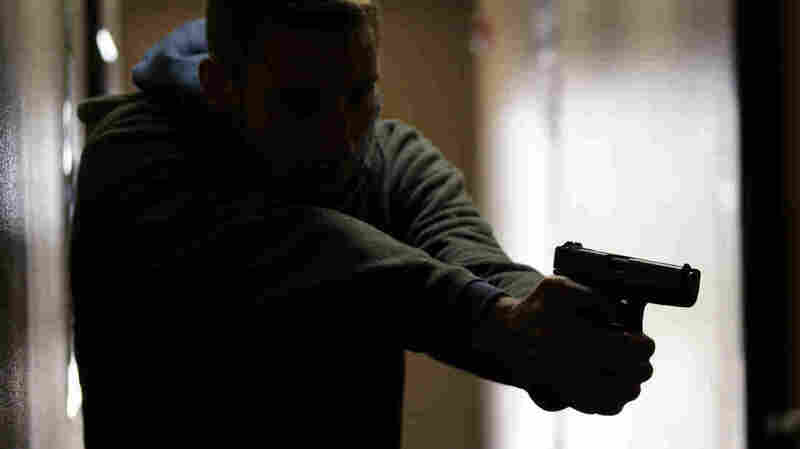 Even if someone wanted to use a gun in self-defense, they probably wouldn't be very successful, says Mike Weisser, firearms instructor and author of the blog "Mike The Gun Guy." He says many people who carry a gun aren't properly trained to use it in this way, and there is no performance validation standard for police officers. "If we don't even have a minimum standard, not for training, but for performance validation for our law enforcement," he says, "how in God's name is anybody going to say, 'Well, just because you have a gun in your pocket, you know how to use it in self-defense?' You don't."